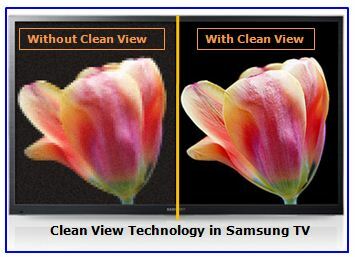 Now, experience crystal-clear view from your Samsung TV with Clean View feature. Clean view helps in preventing the unwanted noise to affect picture quality. It filters and purifies the signal coming in your Samsung TV. It has auto noise-removal technology that removes digital and analog noise from your TV screen. • It removes the digital and analog noise to enhance picture quality. • There are two individual options to enable Clean view in Picture menu. • The function of Clean View is somewhat similar to Digital Noise Filter.